Clean Up the Labs Room! Please do this before you leave, or IMA will send us an angry message that we have left things out of place. For a guide on how every drawer and cabinet should look, see Cleaning Up and Restocking the Labs Room. If you need to know where to get more of something to restock a bin or drawer, please see Supply Locations. 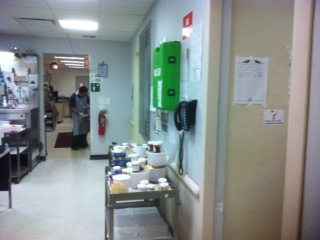 At the end of clinic, deliver all samples to the Icahn Building, 8th Floor. Make a left out of the elevator then turn right. Go to the window on the left at the end of the hall that says “Drop off specimens here". The labs TS is in charge of returning insulin that was not picked up in clinic that day to the storage fridges in the Student Lounge. Insulin should be given to the Labs TS by the Chronic Care Seniors in clinic that day, but the Labs TS should also check both the red and yellow PDAP boxes before leaving. When you enter the student lounge from the main door, there should be a storage room on your left. To access this room and the fridge inside, you will need these codes. Please email the Pharmacy Chair james.blum@icahn.mssm.edu with the number of insulin pens you return to the fridge. Print the order and put in a bag with the specimen. At the end of clinic, bring samples to Annenberg 15-33 (take a right out of the elevators, turn the corner, and take a right into 15-33). Inside, take an immediate right into the first small room (the Accessioning Room) and the drop bin is usually on the counter to your right. Because you are looking for a blue bin, and they can move around, it is almost always helpful to ask for help from a staff member. The bin may have a sign on it that says "Pick-up only, do not drop off specimens." This sign directs you to the Atran cytopathology lab (Atran 6-10); however, that is closed on weekends. We have been using the bin anyway, and the specimens do (usually) make it to Atran the following Monday. 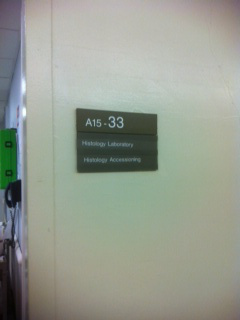 Annenberg 15, turn right and then right again into the room with a counter. Please make sure the ThinPrep vial is labeled with the patient name, MRN, and DOB in black ink. Please talk to a staff member to make sure you're putting it in the right bin.